Spoil yourself at these luxury Big Five safari lodges in the Eastern Cape, South Africa and combine a Big Five safari with ultimate pampering, style and elegance. Eastern Cape offers safari-goers a safari experience like no other, and guests can expect refined luxury and exclusivity. 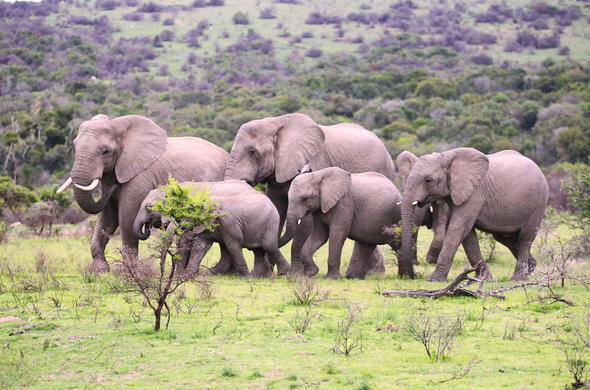 Escape to one of 3 private game reserve that boast with excellent opportunities to witness an abundance of wildlife in the low-lying grasses of the Eastern Cape. Choose to be accommodated in one of the luxury tents or villas that come equipped with modern amenities, and some of the best scenery Eastern Cape has to offer. 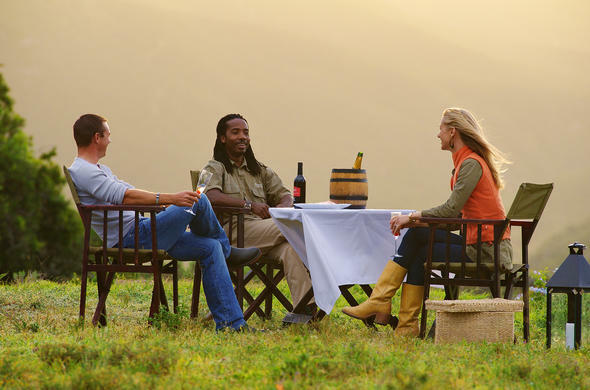 Embark on daily game drives, guided walking safaris, or enjoy a game of golf and polo. If you require added luxury and privacy, lodge accommodation with your own personal butler, game ranger and chef can be arranged. Shamwari Game Reserve Shamwari Private Game Reserve in Eastern Cape has a selection of 5-star graded lodges that are perfect for luxury Eastern Cape getaway. The lodges provides comfort that will keep even the most discerning guest happy and offers a range of exciting wildlife experiences. Kwandwe Game Reserve Stylish and chic accommodation and endless vistas make the Kwandwe Game Reserve the go-to destination for an Eastern Cape. A stay includes exclusive experiences in the sole-use of safari villas. A private butler, ranger and chef are also available on request. 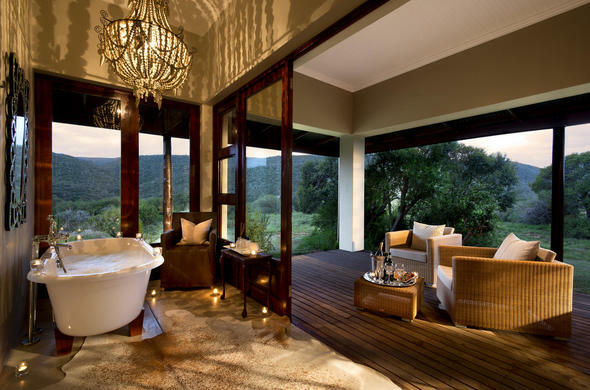 Pumba Game Reserve offers luxury and stylish Eastern Cape accommodation in en-suite bedrooms. The lodges at Pumba overlook a natural waterhole which make for amazing game viewing from the comfort and luxury of the lodge viewing decks. Daily safaris and other activities are offered.